I don’t do much in the way of tool reviews here, but from time to time I just have to talk about a tools I really like. This is one of them. 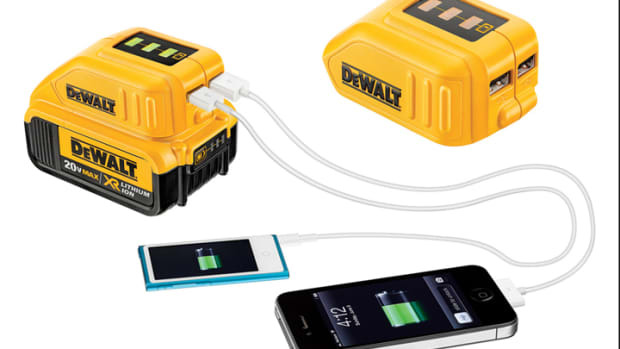 Buy any kind of cordless combo kit, and it undoubtedly includes a flashlight you never wanted. Sometimes, companies even include one with single cordless tools. Nothing at all wrong with any of these. I’ve just generally never found them any more useful than any of the dozens of other flashlights I already own. 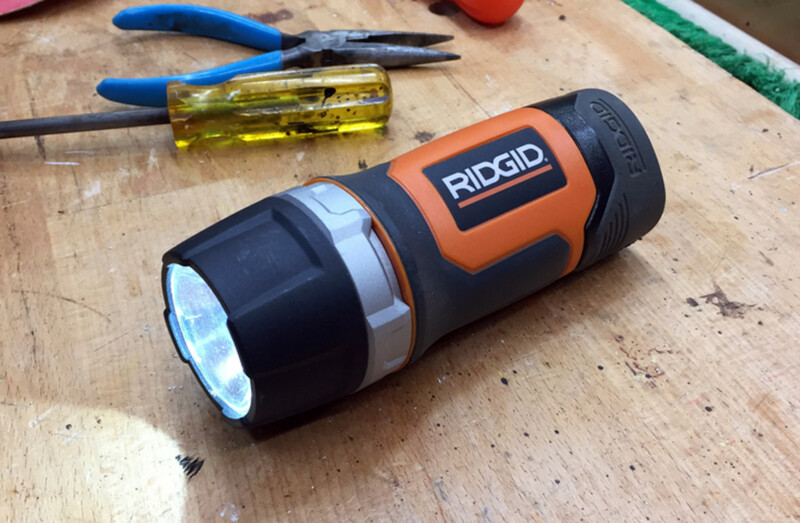 That right there is a little 12-volt flashlight (really 10.3 volts, but with creative marketing) that was included with a Ridgid drill/driver I bought maybe five years ago. I didn’t want it, and never expected to use it. In fact, my plan was to toss it into a box with several unused flashlights that came with other cordless tools. But before I had a chance to do so, I needed a flashlight. I had dropped something – probably a screw I was using the drill/driver for – that rolled under my table saw cabinet and needed a flashlight right then, and it was right there. The beam was tight and extremely bright, and the twist-style switch firm and easy to use. Getting up and down of the floor, I dropped it on the concrete without a scratch. It’s bright, strong and rugged. Most importantly, it just plain felt good in my hand. Since that day, I’ve kept that flashlight on the clamp rack just inside my shop door, and have used it countless times in the shop. Plus, just inside that door it’s easy to reach in and grab from the kitchen, so it’s usefulness frequently extends from the shop to the house. I’m not even sure where that box of unused cordless flashlights is right now, but if this one ever breaks and goes missing, I&apos;ll certainly miss it.